Premium USB by US Digital Media has emerged as an industry leader in the developing market for USB flash drives and personal storage devices. With years of experience in the duplication industry and a sharp eye for the latest technologies, we are always working hard to provide you with the best products and services for next-generation media duplication. From duplicators and drives to custom printing, packaging, and accessories, we are the comprehensive source for your next project! Here at Premium USB, no job is too big or too small. When you are ready to take your duplication to a new level of quality, count on us to deliver! General Hours of Operation: Mon-Fri 9:00am-5:00pm MST/Arizona. At Premium USB we pride ourselves on more than just our expertise and low prices, but also on our top quality customer service. We realize that every customer has specific needs when it comes to the ordering products and services, that is why our staff has been trained to handle any situation. If an order is not up to par, we will do what we can to make it right. Our staff strives to stay informed about the latest news, trends, and advances in the data storage industry. From creative professionals, copywriters, technical staff and media industry experts, to state-of-the-art production, duplication and printing equipment, we truly live up to the name "Flash Media Experts." 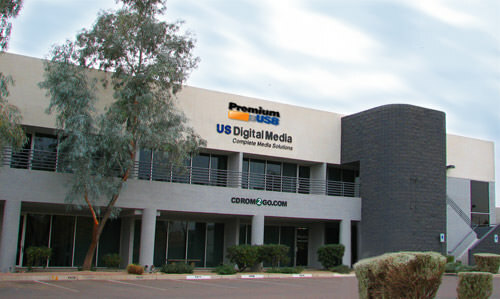 At Premium USB, we've built our reputation on great pricing, excellent service and industry knowledge. We don't just sell USB flash memory products and services; we provide solutions to our clients' specific needs. In order to call ourselves the Flash Media Experts, we aspire to a higher degree of service and industry expertise. From project management to responsive customer service, we ensure the high-level of customer care that you depend on. We treat every job with critical importance. We share your deadlines and we are honored to be a part of the process.